Soak the rice in enough water to cover it all. 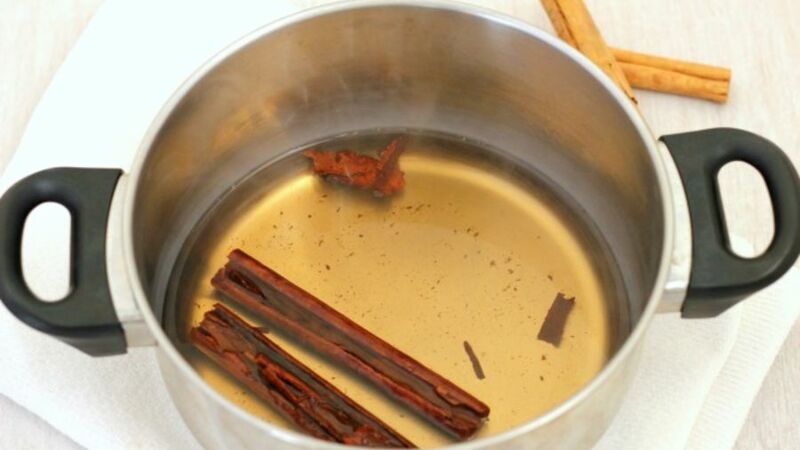 In the meantime, pour two cups of water into a pot and add the cinnamon sticks. Cook over medium heat until it boils. Drain the water but save it. 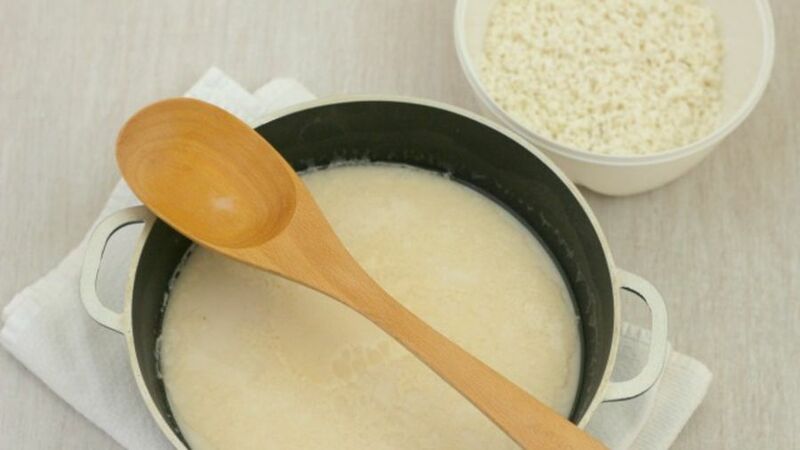 In another pot, mix the evaporated milk, coconut milk, sugar, and salt. Add the water you saved previously. Reserve 1 cup of this mix to use it in another step of the recipe. Warm up the mixture until it boils and then add the rice. Stir softly, cooking over low heat for 25 minutes. Pour the mixture you reserved into the pot. You can add raisins to it if you want. 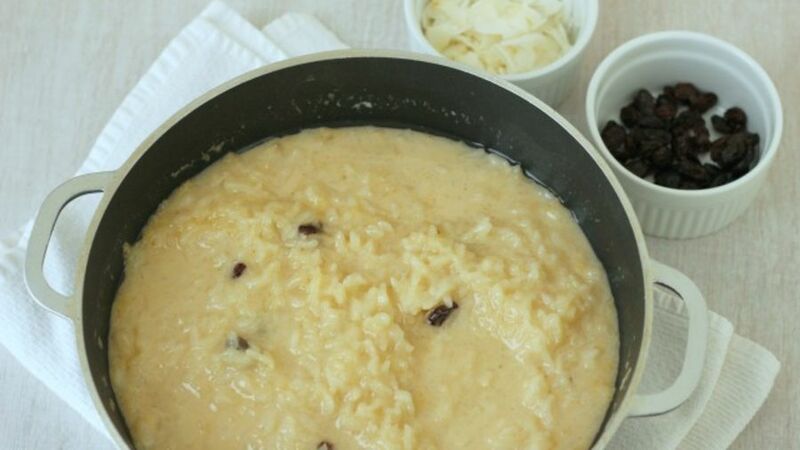 Let it cook over low heat until the arroz con leche is thick enough. 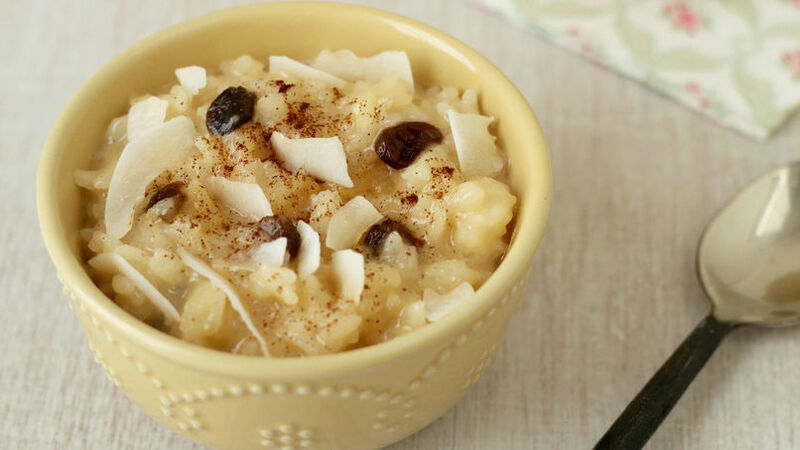 If you want to make it even more delicious, serve it with grated coconut and a pinch of cinnamon powder.